Good afternoon from sunny Orlando, Florida! I am currently typing this post from my spot in line on Test Track at Epcot! It's a two hour wait, so why not do something productive? I did two manicures in honor of my trip to Disney, but only decided to wear one. You'll see why with tomorrow's. For today's nail art, I used all Zoya polishes: Elisa, Trixie, Purity, Raven, and Audrey! I wanted to do something classy because I have a Passover Seder to attend this week, but something also funky that screams Minnie Mouse! 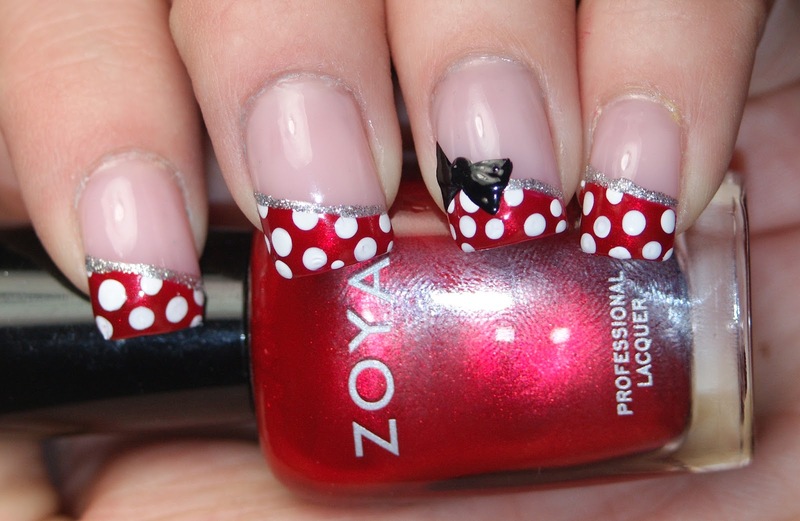 So what do you think of my Minnie Mouse tips? OMG LOVE LOVE LOVE THESE!! 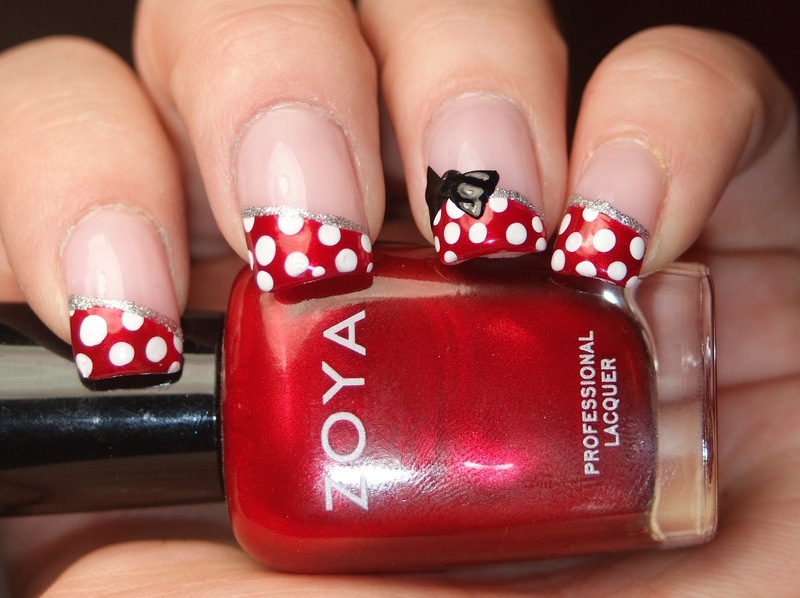 Im doing them next time I hit Disneyworld! You did a great job!